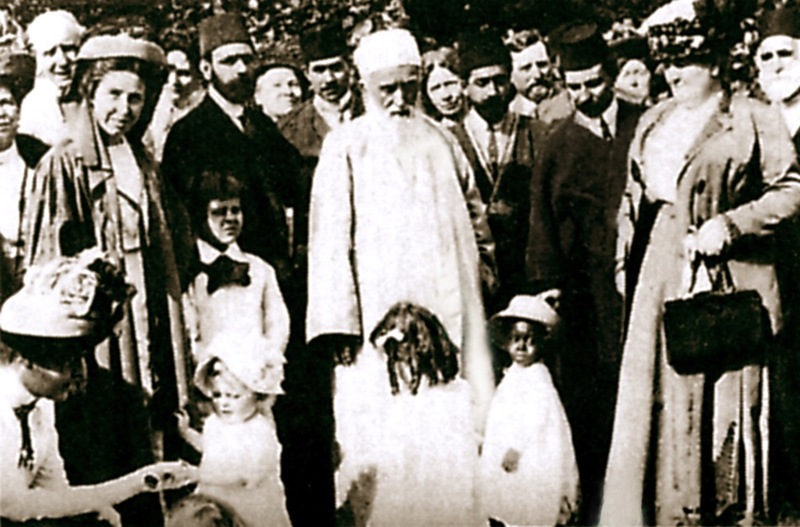 During Abdu’l-Baha’s journey through Europe and North America in the early 20th century, the life and teachings of Jesus Christ were a common topic. That may seem strange given that the whole point of Abdu’l-Baha’s trip was to introduce Westerners to a new faith and a new spiritual message. But seen in the context of the Baha’i Faith’s core teaching — that all religions are in fact reflections of a single spiritual truth, and all human beings are members of a single family — the fact that Abdu’l-Baha tended to talk in terms familiar to a Western audience makes a great deal of sense. The divine Prophets came to establish the unity of the Kingdom in human hearts. All of them proclaimed the glad tidings of the divine bestowals to the world of mankind. All brought the same message of divine love to the world. Jesus Christ gave His life upon the cross for the unity of mankind. Those who believed in Him likewise sacrificed life, honor, possessions, family, everything, that this human world might be released from the hell of discord, enmity and strife. His foundation was the oneness of humanity. Only a few were attracted to Him. They were not the kings and rulers of His time. They were not rich and important people… But their hearts were pure and attracted by the fires of the Divine Spirit manifested in Christ. With this small army Christ conquered the world of the East and the West. Kings and nations rose against Him. Philosophers and the greatest men of learning assailed and blasphemed His Cause. All were defeated and overcome, their tongues silenced, their lamps extinguished, their hatred quenched; no trace of them now remains. They have become as nonexistent, while His Kingdom is triumphant and eternal. …To be a real Christian is to be a servant in His Cause and Kingdom, to go forth under His banner of peace and love toward all mankind, to be self-sacrificing and obedient, to become quickened by the breaths of the Holy Spirit, to be mirrors reflecting the radiance of the divinity of Christ, to be fruitful trees in the garden of His planting, to refresh the world by the water of life of His teachings—in all things to be like Him and filled with the spirit of His love. *For the full passage, see here. Note: In the process of writing this I learned that this particular speech was given the day after Abdu’l-Baha arrived by boat to America from Europe. A historical chronicle of this particular day in his journey is here.